What is the role of bacterial antioxidant defense in their resistance to bactericidal antibiotics? 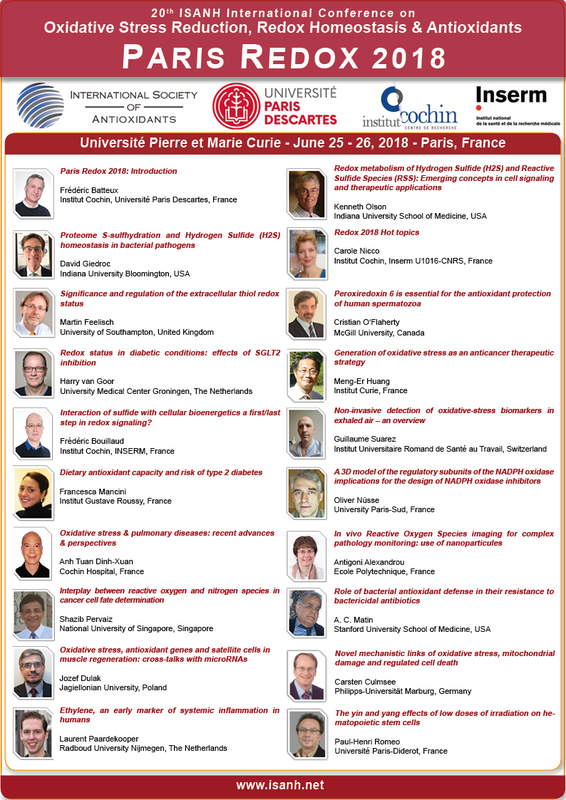 Prof. A.C. Matin from Stanford University School of Medicine, USA is one of the high distinguished speaker of Paris Redox 2018. He will give a strategic presentation on the role of bacterial antioxidant defense in their resistance to bactericidal antibiotics. According to Prof. Matin: "The basic mechanism of the action of bactericidal antibiotics is well-known, as well as the means bacteria employ to counter them. Recent studies indicate that in addition to these known mechanisms, another way that antibiotics (e.g., gentamicin, norfloxacin, ampicillin) harm bacteria is by exerting oxidative stress, which bacteria resist by mobilizing their anti-oxidative defense. We have identified many components of this defense; use of small molecule inhibitors of the latter in synergy with the antibiotics can help overcome the serious problem of antibiotic resistance in bacteria."